Dial *98 from your home phone, follow prompts to set up PIN number, record your name and record your greeting. In our traditional exchange areas (Eleva, Independence, Northfield, Pigeon Falls, Pleasantville, Strum), it is called Comm Portal. (b) Log in with your phone number and Voicemail PIN. In our new, Cable-Phone areas, it is called Self-Care Portal. TCC needs to activate the Self-Care Portal first. Contact TCC first to activate this for you. TCC has a wide variety of helpful calling features including Caller ID, Selective Call Rejection, Smart Call, and Simultaneous Ring to help you receive the important calls while avoiding the unwanted calls. 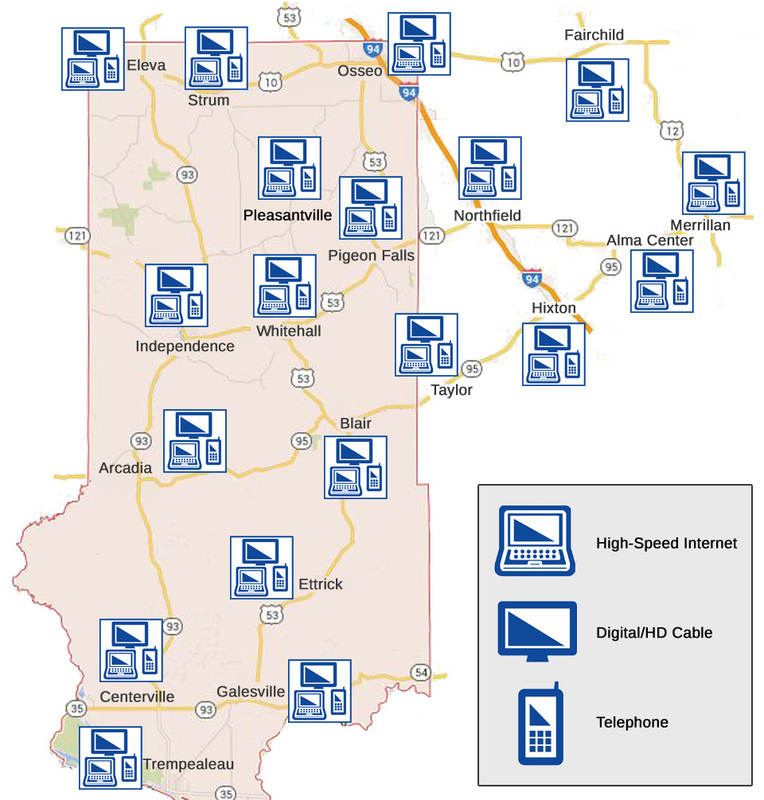 TCC serves the following communities with Phone: Alma Center, Arcadia, Blair, Centerville, Eleva, Elk Creek, Ettrick, Fairchild, Galesville, Hixton, Humbird, Independence, Merrillan, Northfield, Pigeon Falls, Pleasantville, Osseo, Strum, Trempealeau, Whitehall. Click/touch map for larger view. Phone services provided by Tri-County Telcom, LLC – a TCC company.